The current market is evolving at a breakneck speed and as a result, businesses are experiencing an unprecedented period of challenges. In fact, one could say that the only way to keep up with the times is by learning to stay ahead of them. For businesses, the fastest and most reliable way to stay ahead seems to be via the digital highway. That’s where scanning comes into the picture and not just any scanning, but a more comprehensive and simplified approach towards it. Most businesses these days are well versed with how scanning leverages the power of digitisation. But it’s one thing to convert documents into digital formats, and it’s another to manage the end-to-end complexities that come with it. Overloaded workflows, disorganised processes, cluttered archives - these are just a few potholes businesses face in the path to digitisation. However, all this is set to be a thing of the past, with Canon empowering businesses with its belief that every “Business Can Be Simple”. With a comprehensive suite of scanning solutions, Canon is helping businesses convert every single one of these complexities into stepping stones to success. 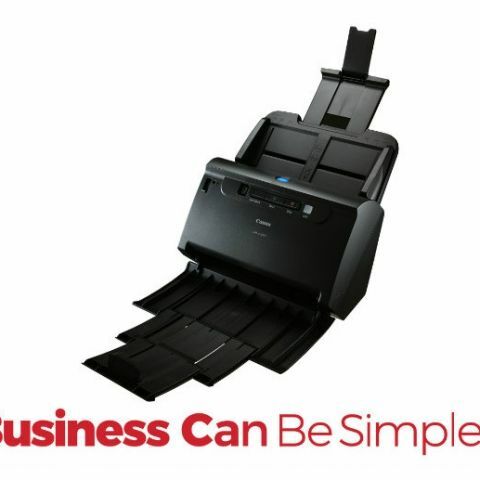 The DR-C240 is one of Canon’s finest proponents of its belief that businesses can be simple. This compact yet powerful scanning device aims to bring functionality to every enterprise in the easiest manner. It provides complete control through its front-facing buttons that allow quick execution of scanning operations; a refreshing break from complex and cluttered press-options. Users also get the benefit of an all-in-one device that can process documents in varying sizes (from larger A3 sizes, standard A4, to business card sizes). Not just this, the DR-C240 can expertly handle all kinds of non-conventional document shapes and thickness like postcards, envelopes, folded documents and more. One standout feature of this scanner is its expertise as a passport scanning device. 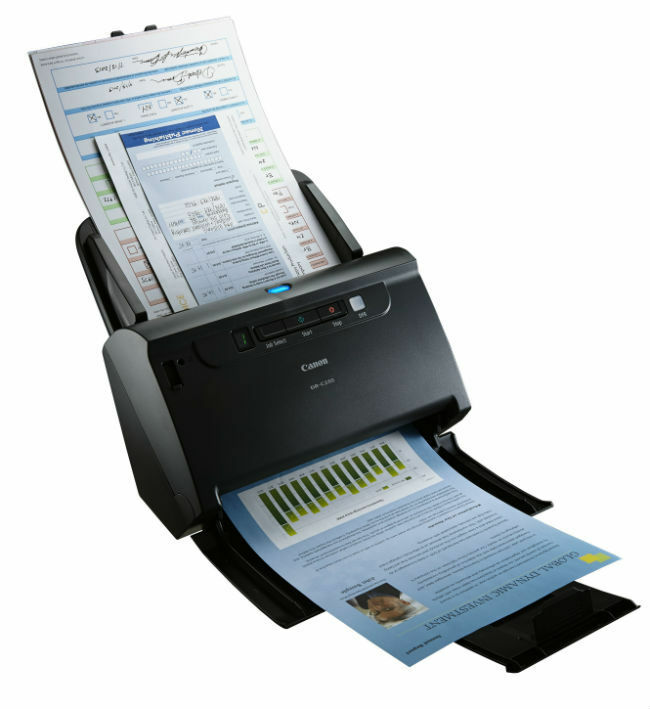 It offers precision scanning of original documents, thereby adding a useful value proposition to offices. Users can easily access a default setting for all kinds of passports and the DR-C240 also puts extra emphasis on the quality, ensuring that details are captured accurately. The DR-C240 supports a high-capacity 60 document feeder that makes short work of large volume requirements. Available in automatic mode, users can easily choose between simplex and duplex formats as per their needs. Top that off with USB connectivity, and you’ve got a comprehensive scanning partner for your business. Talking of large volumes, the DR-C240 ensures that handling multiple requests is simpler thanks to easy selection of document formats, encrypted formats, and even seamless storage options. It does all this while delivering a quality scanning experience that includes features like batch separation, colour and text enhancement, deskew, scanning A3 documents in an A4 scanner, automatic size detection, full auto-mode, text orientation and a lot more. Numerous businesses like travel agencies, airports, embassies, banks, and hospitals can leverage the easy passport scanning feature offered by the DR-C240 and add a new level of efficiency to their operations. This compact powerhouse is also suitable for SMEs, as well as individuals with professional requirements, providing pioneering scanning technology that helps one stay ahead of the game. 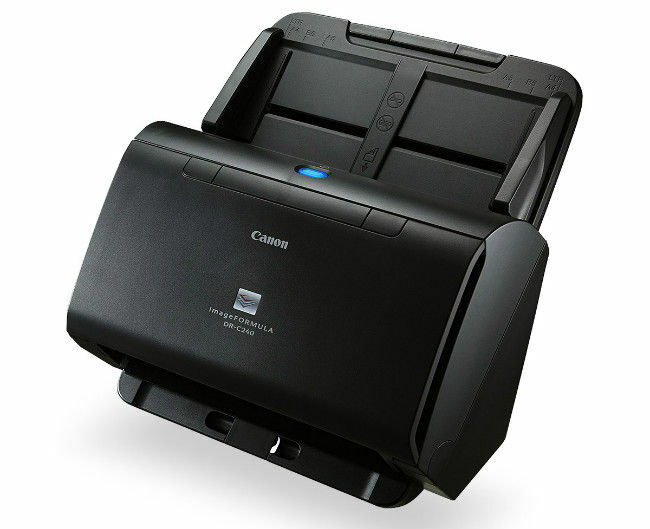 To know more about the Canon DR-C240 Scanner, click here. Disclaimer: The visuals used are for representation purpose only. Contact Canon to know more about the features and other details of this device.